The NBA is gearing up for a mini shutdown on Thanksgiving, Thursday the 27th of November, so there will be a lot of game taking place on Wednesday and Friday this week. This means that there will be a glut of games and basketball betting opportunities on these days. It does mean t6hat Thursday will be a day of rest when it comes to NBA betting but it is not as if there will be a break for too long. 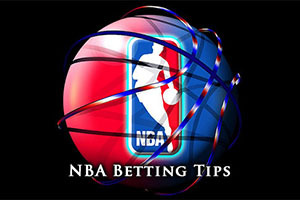 Tuesday night saw some big matches take place in the NBA and there were three away wins in five matches. 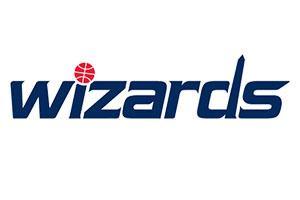 The Hawks were one of these teams who managed to win away from home, defeating the Wizards by a score of 102-106. The Pelicans slumped to a home defeat against the Sacramento Kings, losing out by a score of 89-99. The Nuggets brought some home cheer to the Denver fans though, squeezing past the Bulls by a score of 114-109. The Heat fell to a home defeat against the Warriors, the team from the Golden State winning by 97-114. The Bucks also grabbed a home, defeating the Pistons in Milwaukee by a score of 98-86. The Jazz won’t be too proud of their 5-10 record, 2-6 away from home, but it is more respectable than the 3-12 record that the Thunder hold, 2-5 at home. The Jazz are on a losing streak of 3 but the Thunder are on a losing streak of 6, so this game is going to feature two teams who are down in the dumps. The last time the Jazz won a match was when they played the Thunder on the 18th of November, grinding out a 98-81 in Utah. It is easy to see why Jazz are considered to be the favourite for this game. Both Reggie Jackson and Serge Ibaka played well against the Golden State Warriors in the last defeat for the Thunder, but they haven’t lived up to expectations so far this season, with Ibaka in particular struggling to find form. Enes Kanter grabbed 19 points on Monday night when the Jazz were defeated by the Bulls, and he will need to be on form on Wednesday night if the Jazz are to return to winning ways. The Jazz don’t have any notable injury worries to concern themselves with but the Thunder are monitoring a number of players. There is a strong chance that Oklahoma City will be without Perry Jones, Kevin Durant, Mitch McGary and Russell Westbrook for this game. Taking the form and potential injuries into consideration, it is easy to see why taking the Jazz at +4.5 at odds of 1.90 is an appealing bet. Bet Now! The Wizards come into this game with a 9-4 record, 4-2 away from home, while the Cavaliers stand at 6-7, 3-4 at home. This clearly wasn’t the sort of form that many people were expecting the Cavs to show this season, in fact, many people were tipping the Cavaliers as champions for the 2014/15 season. It is clearly still far too early in the campaign to predict whether the Cavs will or won’t make it to the end of the post-season but they will be keen to improve their standing in the near future. The Cavs broke a losing streak by winning their last game while the Wizards have been patchy in their last 5 games, winning 3 and losing 2. Clearly LeBron has been the focus and during the four game losing streak the Cavs suffered, he was poor, something which he freely admitted himself. On Monday night, he was much improved; grabbing 29 points in the 106-74 win against the Magic. This was the sort of display that Cavs fans were expecting with the return of James and again, there will be expectations on him, and the team, to do it again in this match. The Wizards lost out against the Hawks on Tuesday night, although the performance of John Wall was highly pleasing for all concerned. He grabbed 21 points, five rebounds and 13 assists in that match and a similar showing may have a big influence on the outcome of this game. The only injury doubt that both teams have going into this game is Nene Hilario for the Wizards, who is being monitored on a day by day basis but could still play his part in the game. There is no doubt that every time the Cavs win a game you have a tendency to think that they have turned the corner and will be likely to kick in, but there is no evidence they have found consistency this season yet. However, they should have enough to win this game but the odds of the Wizards with +6.5 at 1.90 should be worth looking into for anyone looking for value in this match. Bet Now! The Raptors hold a 12-2 record, 3-1 away from home, while the Hawks have a 7-5 record, which is 5-1 away at home. On first glance, the Raptors record is much more impressive than the Hawks but the limited number of away games may be skewing the figures slightly. So far, the Hawks have looked strong at home and this could be a very tight match. Both teams have a winning streak going on, at the moment, with the Raptors on five wins and the Hawks on 2, but obviously some team will lose out after this game. When it comes to point scoring, the Raptors like to spread things around and they have five players averaging double figures for the season so far. DeMar DeRozan is averaging 20.2 points, Kyle Lowry averages 18.4, Lou Williams averages 13.6, Jonas Valanciunas averages 12.3 and Terrence Ross averages 10.9 points. The Hawks have Jeff Teague averaging 26.3 points per game so far this season, and he grabbed 28 points (a season high) for the second game in a row on Tuesday night against the Wizards. With respect to injuries, the Hawks look to have a clear bill of health while the Raptors are monitoring James Johnston while Tyler Hansborough appears to be out for this game. With both teams showing form, it could go either way but there is a sense of momentum with the Raptors at the moment. Taking them at -3.5 at odds of 1.90 is likely to be a sensible bet. Bet Now!